So.. 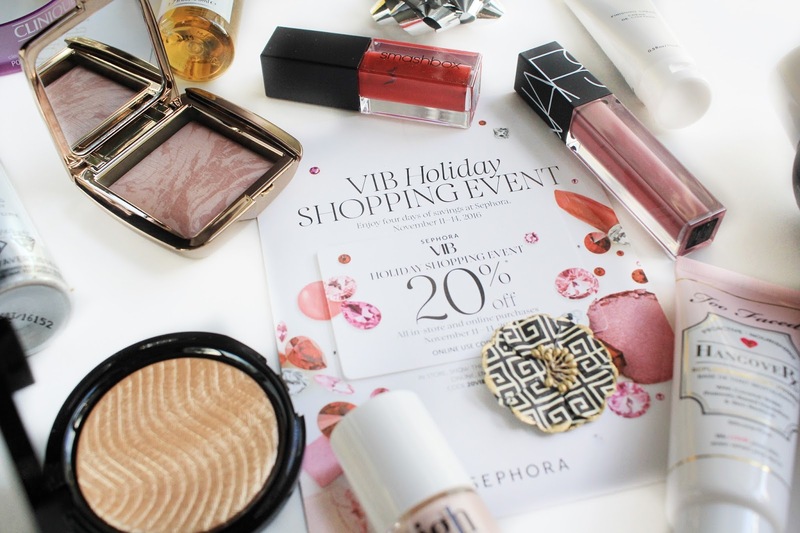 The Sephora VIB sale happened and I sort of went a tad bit overboard. But I mean, who wouldn't? 20% off high end makeup? Who in their right mind would pass that up? Definitely not I. Since being a part of the blogging community, there's been a bunch of products that've made it onto my wishlist and I finally got to tick a few of them off during this sale. I put in 4 separate orders during this event and the wait for them to arrive was a tease. They arrived to my house on three different days, which was the worst. I had to hold off on using, or even swatching, anything so that I could take photos of them in all their glory (blogger problems, am I right?). Now that they're all finally here and I've finished being their paparazzi, I'm so excited to use them all. But first, haul time! Smashbox Always On Liquid Lipstick in Bawse | I first heard of this shade from Alanna over at Classy On The Run. The shade looked absolutely beautiful on her and I just knew I had to get it. It's a really pretty red shade with an orange undertone. I don't have many reds in my collection so this was a great one to have. 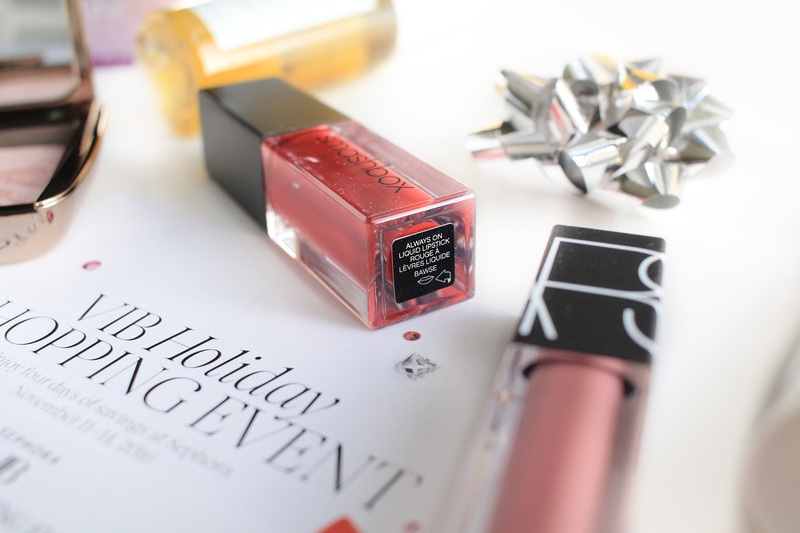 Nars Velvet Lip Glide in Bound | For the past week and a half, I kept seeing these everywhere! Literally everyone was going on about how great they were so of course I just had to try them for myself. I picked up the shade Bound, which is described as a rose pink on Sephora. - Is anyone surprised at my choice of colour? Not me! 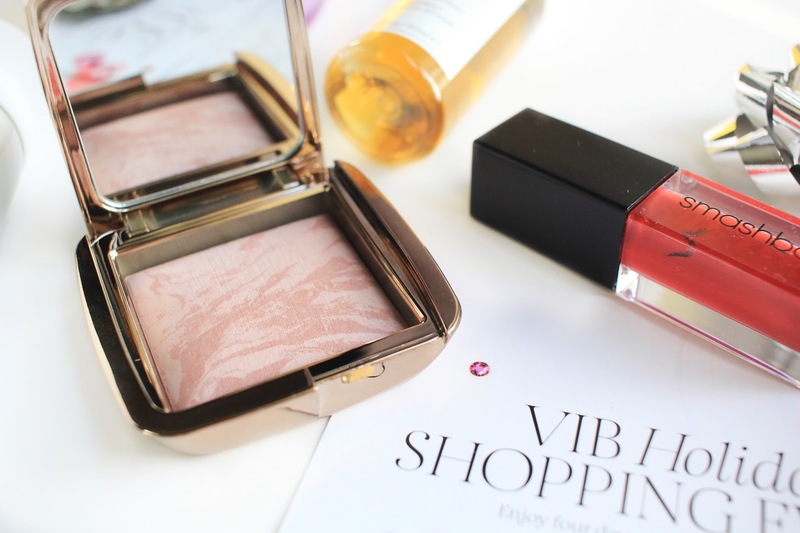 Hourglass Ambient Lighting Blush in Mood Exposure | Did anybody else realize my reasons for purchase being because of beauty bloggers? Well, this one is no different. I never paid mind to the Hourglass blushes until Autumn rolled around and everyone started pulling out this blush claiming it was the perfect shade for the season. If you've been a long time reader, you know that I love my neutral/natural/almost-undetectable blushes and this one is just that. So I had to get it! MUFE Pro Light Fusion Highlighter in Golden | Finally, a purchase I made on my own (haha!). I originally wanted to get the Pro Sculpting Duo but I've read how people don't really get use out of the contour shade, so I skipped out on it. But as I was browsing through MUFE I came across this guy and I clicked the "Add To Basket" button so fast! It's the highlight shade in the duo in it's own pan! Yup, no regrets. Benefit High Beam Liquid Face Highlighter | Ah, another purchase I made on my own. Funny story: A year ago, I meant to pick this up. But when swatching it in store and comparing it to the Watts Up highlighter, I decided to pick the other instead. To be honest, I think I made the wrong choice because I barely use my Watts Up highlighter. In my head, the only way to make up for that is to buy what I originally went in for...a year later. -end of story- Also ever since falling in love with Becca's Opal Liquid Highlight, I wanted to try more liquids and so I ended up with this. 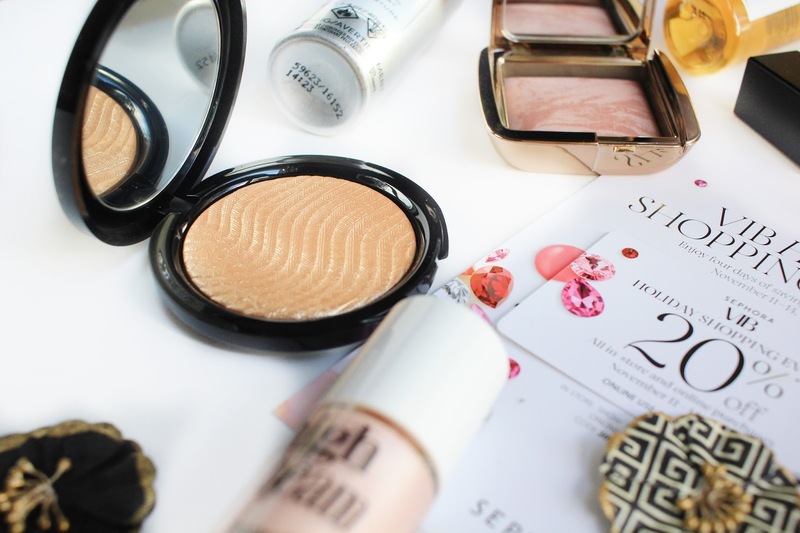 Too Faced Hangover Primer | Annnnd we're back to the bblogger-influenced purchases. I can't even tell you how many times I've seen this primer floating around and all the reviews were positive. I'm really excited to see how well this works for me. Living Proof Perfect Hair Day Dry Shampoo | This is actually a repurchase. If you read my "8 Beauty Products I'll Always Repurchase" post, then you would have known this was on the list. And well, I did repurchase but this time it's the big bottle. Seriously, it's the best dry shampoo I've tried and the smell is so pleasing. 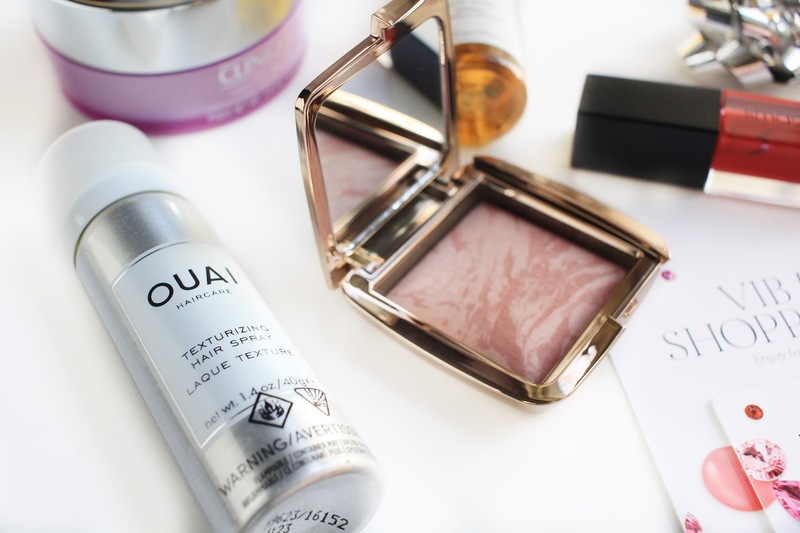 Ouai Style Edit Set | On my recent beauty wishlist, I mentioned two Ouai products. So when I saw this set that included the two I wanted plus two other things, I jumped at the chance to pick this up. I am super excited to see what all the hype is about around this brand. Sidenote: It's not in the photos, but included in the set was a little packet of hair ties. When I opened up the set, I thought it was a 'foil packet' (as Christian Grey likes to refer to it as) - I just thought it was really funny, lol. Clinique Take The Day Off Cleansing Balm | Last but not least, a skincare product. I've seen a few bloggers talking about this one and ever since reading Cindy's (from Cindyhyue) post about cleansing balms, I've always wanted to try a balm. So I ended up picking this one up and wow the tub is a big one! I'm really excited to see how well this works & if it lives up to the hype. send me links to your hauls!